30 years, 2 months, 29 days old age. Sandeep Sejwal will turn 31 on 23 January, 2020. Only 9 months, 1 days, 8 hours, 20 minutes has left for his next birthday. Sandeep Sejwal has celebrated the total number of 30 birthdays till date. See the analysis by days count and bar graph. Sandeep Sejwal was born on 23-01-1989 in Delhi, India. He is a famous Indian Swimmer. Sandeep has participated in men’s 50m, 100m, and 200m breaststroke competitions. He won India a Bronze Medal in 50m breaststroke event at Asian games in 2014. Sandeep even qualified for London Olympics 2012. Sandeep the swimmer has contested in many national and international swimming competitions. He proudly won silver at the 2007 Asian Indoor Games in the 100m and 50m Breaststroke swimming competitions. Sandeep completed his graduation from the prestigious St. Stephen’s College in New Delhi which is under the University of Delhi. His coach is Mr. Nihar Ameen who himself is a very well-known Swimmer. He trains in Bangalore in Karnataka, India. GoSports Foundation supports talented Sejwal’s career. This foundation is a non-profit organization for sports. It aims to provide sporting and training facilities for sports in India and to promote sports culture and sporting excellence in India. He has a sister named Pallavi Sejwal. 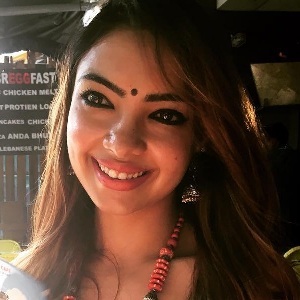 He is married to a television actress Pooja Banerjee. He is the National Record Holder in the 50m, 100m, and 200m breaststroke event. He left his studies in between to pursue a career in swimming. 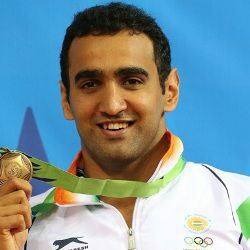 He was the first Indian breaststroke swimmer who has qualified for Olympic games. He qualified during 2012 London Olympic games.